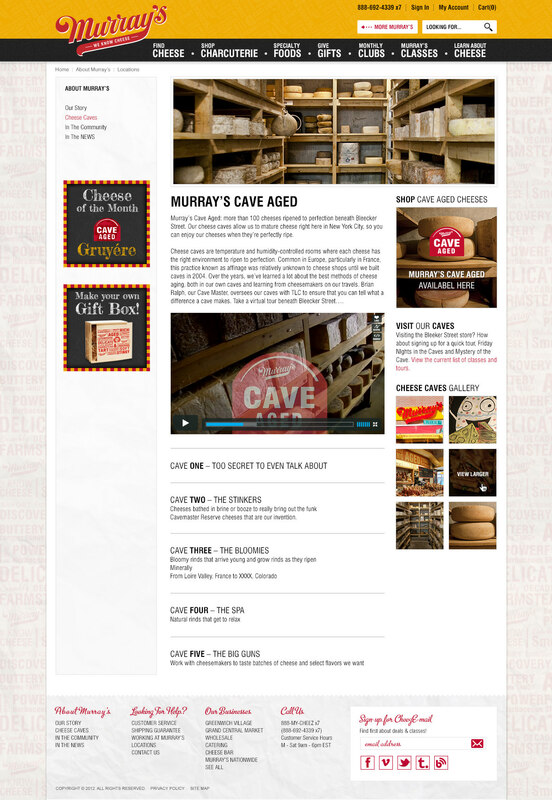 The Murray's Cheese website was a replatform and redesign project. 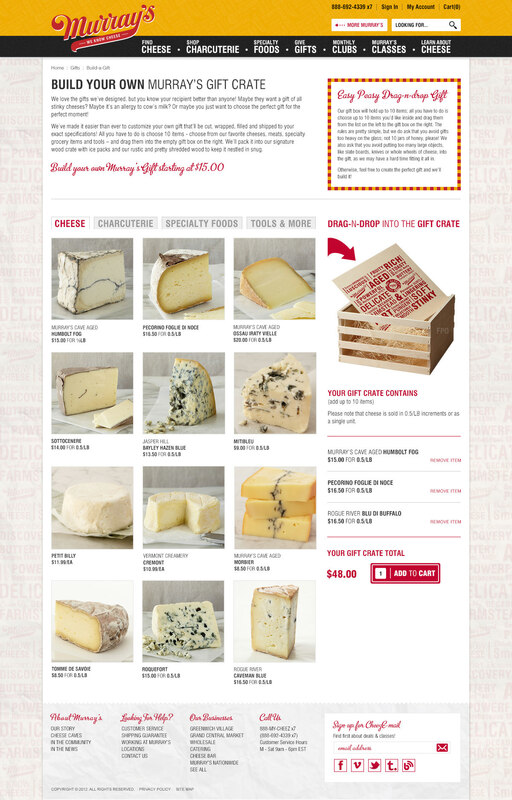 Some of the goals of the project were to bring the personality of the Greenwich Village store experience to the web, provide an online location for cheese education and cheese pairings with wine/beer and allow users to sign-up for classes all while providing a clean shopping experience. 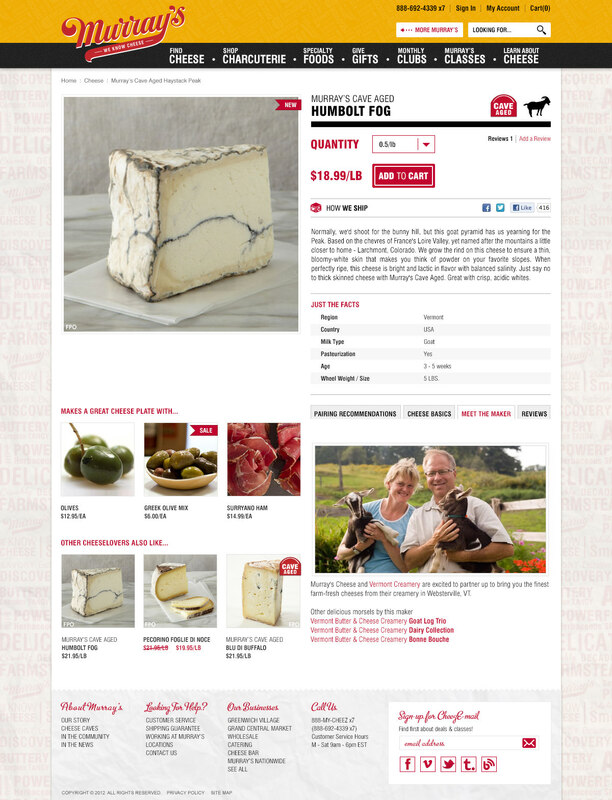 The project began with our team flying out to NYC to visit the Greenwich Village store, the Grand Central Station location and tour the cheese caves. 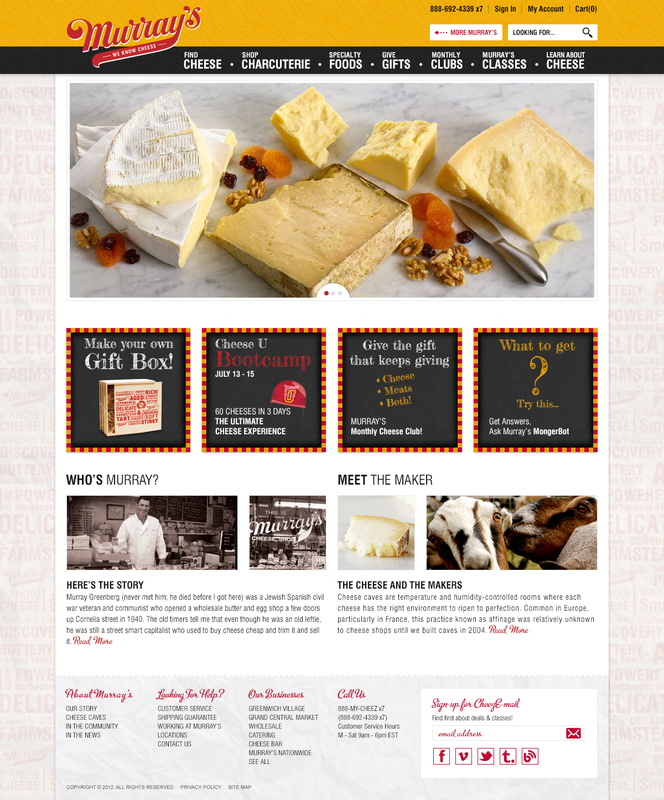 Interviews with department heads and observing customer's interactions with the cheese mongers were influential in shaping the design. 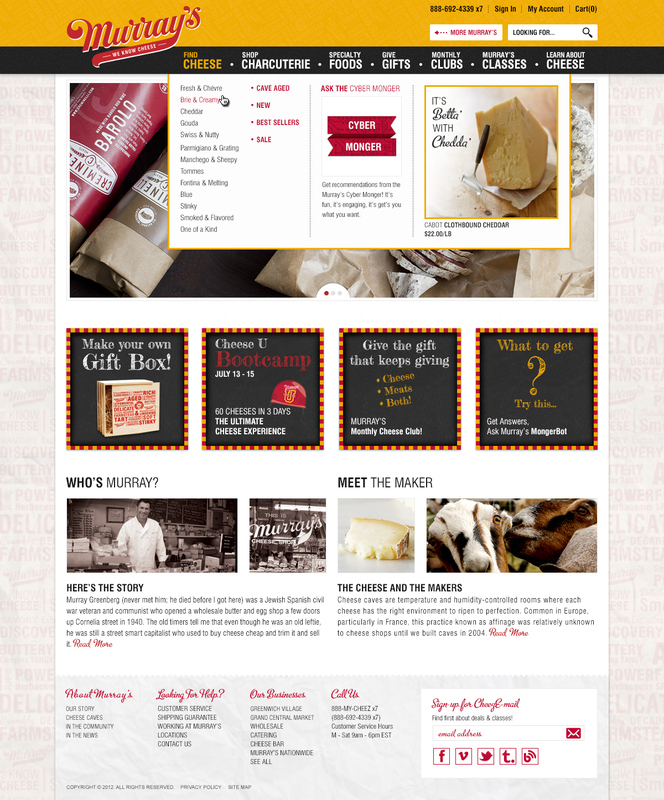 While on-site, I also took photographys that were used for some of the site images and used as examples for future photography direction. 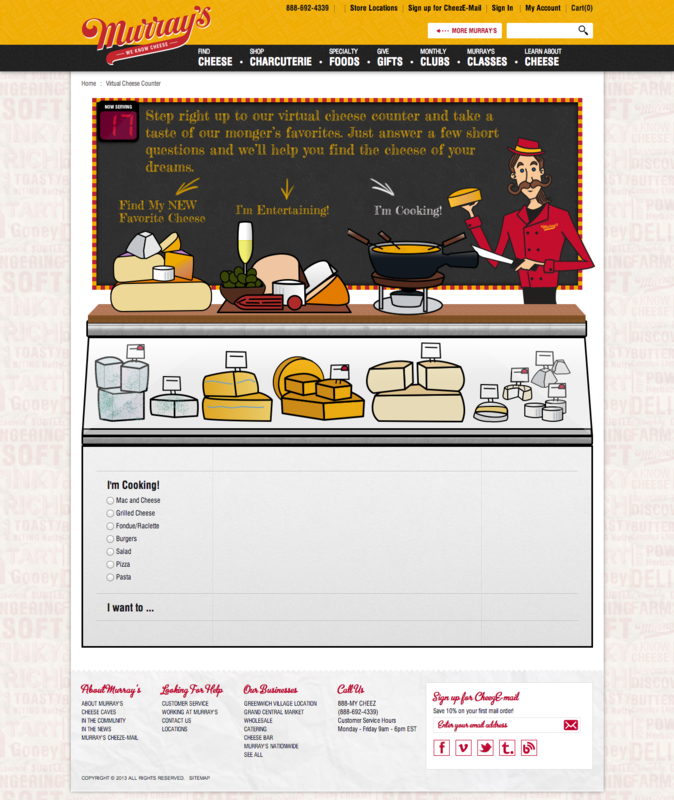 My affinity for the subject matter made this a dream project to work on. 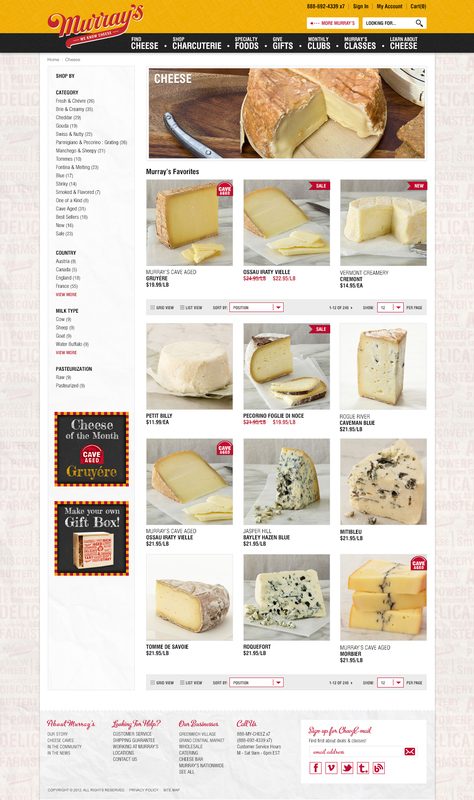 As a part of bringing the store experience to the website, a Virtual Cheese Counter was created. 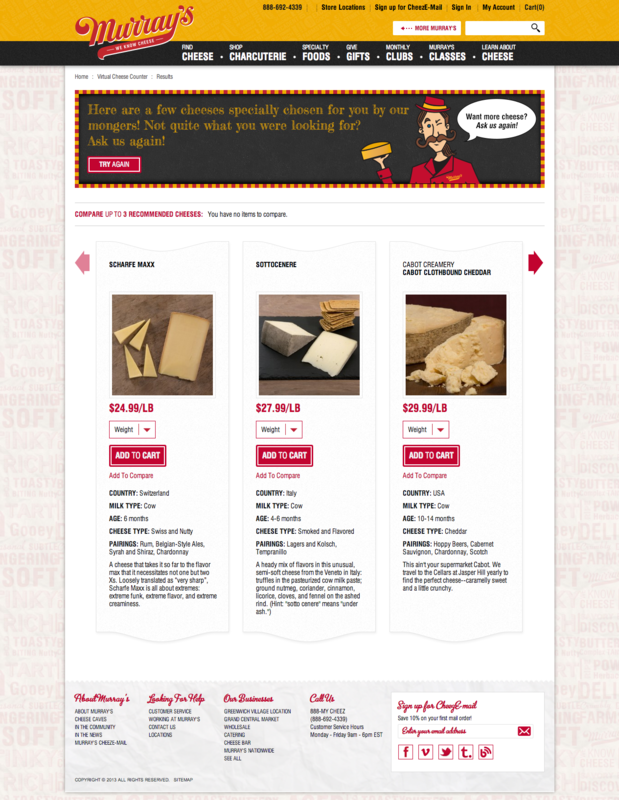 Users answer a series of questions and are then presented with chesse suggestions.